Every year, thousands of people are seriously hurt in car accidents caused by distracted drivers. Connecticut has passed laws to try and make the roads safer by punishing drivers for not paying attention. One of the most common distractions is the use of cell phones by drivers. It is against the law in Connecticut to do anything while operating a motor vehicle that distracts the driver from his or her duties. This can include anything from a car radio to a cell phone. Connecticut has passed special laws to deal with the problems of cell phones. Connecticut drivers cannot use a handheld cellphone while driving to talk or to text. For most drivers it is okay to use a hands free device such as a Bluetooth headset. Novice drivers cannot use a cell phone in any way while driving, except to make an emergency call. This ban includes hands-free devices. Bus drivers are also prohibited from using a cell phone, even with a hands free device, while driving a bus. Studies have shown that driving takes a lot of mental focus. Cell phones have been shown to reduce a driver’s ability to focus by more than 30 percent. There is some evidence showing that even when using hands free devices, a driver’s focus is still compromised. Distracted drivers are more likely to be involved in serious accidents where they are injured. The best way to keep yourself and your family safe while on the road is to hang up the cell phone. Even if you are allowed to use a hands free device, talking while driving may still be putting you and everyone else on the road at greater risk. When you are on the road, do not do anything that will take your focus away from the safe operation of your car. It is increasingly common for cell phone records to be examined in car accident cases. If you are involved in an accident and your records indicate you were on the phone at the time of the accident, even if you were on a hands free device, you may be found to be at least partially responsible for the accident. If you or someone you love has been hurt in a car accident, consult with a seasoned Westport personal injury lawyer right away. Call Richard H. Raphael, Attorney at Law, at 203-226-6168 to schedule a consultation today. You may only have a short period of time to protect your rights. One of the few factors that can make a car accident even worse is finding out that the person who caused the accident was not insured. Even though Connecticut drivers are legally required to have car insurance when operating a motor vehicle, many still drive without insurance. Drivers may have insurance; however, their coverage may not be enough to cover all of the damages they caused. In cases like these, you may have to turn to your own uninsured or underinsured motorist policy for protection. Sometimes, this means fighting with your own insurance company about your damages. When buying car insurance, you have the option of adding protection against other drivers who either do not carry insurance or do not have enough insurance to cover all of the damage they cause. This usually only costs a little extra a month. In a typical car accident when the other driver is at fault you file a claim with the other driver’s insurance company. When the driver does not have insurance, or the insurance is inadequate, you file a claim with your insurance company under your uninsured or underinsured motorist policy. On the surface, things should work the same way they would if there was another insurance company involved. However, some policies have obscure provisions that can make getting your compensation tougher than expected. Insurance companies are not in the business of paying more money than they have to. Even your insurance company may try and find reasons not to pay out your claim, or to pay out less than you deserve. That all other insurance has been exhausted. 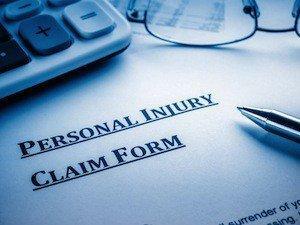 Personal injury law is complicated. The insurance adjustor handling your case has likely dealt with hundreds, if not thousands, of car accidents. You need to get help before making an insurance claim. If you or someone you love has been hurt in a car accident, protect your rights and contact a knowledgeable and experienced Westport personal injury lawyer right away. Call Richard H. Raphael, Attorney at Law, at 203-226-6168 to schedule a consultation today. Car accidents can occur in the blink of an eye. One moment you are happily driving. In the next moment, everything is a mix of motion, noise and confusion—even a fender bender can leave you shaken and in a state of shock. However, thanks to modern technology, most people involved in car accidents now have smartphones—a technology that can be of great assistance following an accident. Not every accident requires an ambulance or law enforcement to come to the scene. Still, you may need help. Whether it is calling 911 or contacting a friend for a ride after an accident, your smartphone can make it easier to obtain the help you need. Most mobile phones are much more that just a phone—they are also equipped with a camera. Law enforcement does not investigate every Connecticut car crash. However, you can use your smartphone to take pictures of everything from the damage to the cars to the entire intersection. In some cases, you may even want to take pictures of your injuries. The more information and pictures you can take of an accident’s aftermath, the easier it may be for your attorney to assist you in getting the compensation to which you are legally entitled. Immediately following a car accident is generally the best time for obtaining any information about what has happened. Drivers in Connecticut are required to exchange information after a car accident. You may not have a pen and paper, but a smartphone can be used to record any insurance information for the other driver or drivers involved. Additionally, you can use your phone to store contact information from any witnesses. Once you leave the scene of the accident, you may never hear from the witnesses again. Many insurance companies have smartphone apps that make it easy to always have your insurance information with you. If you utilize one of these apps, you can then easily share your policy information with police officers and involved drivers. Moreover, within the app, you will have the phone number you need to notify your insurance company of the accident. Some carriers even let you begin filing a claim right from the app. If you or someone you love has been hurt in a car accident, protect your rights by contacting a knowledgeable Westport personal injury lawyer right away. Call Richard H. Raphael, Attorney at Law at 203-226-6168 to schedule your consultation today.